Alvin L. Zimmerman - Mediator & Arbitrator based in Houston, Texas. If you’d like a list of available dates for Alvin Zimmerman, please submit a request below. You will hear back directly from Alvin's assistant, Margaret Schoener. Mr. Zimmerman is included in The Best Lawyers in America and has been named one of H Magazine's Best Lawyers in Houston. His broad-based legal experience includes presiding as a municipal court judge of the City of Houston, a state district judge of the 269 (Civil) and 309 (Family) District Courts, and serving as assistant attorney general for the State of Texas and briefing clerk for the Honorable Judge Ingraham, Federal District Judge for the Southern District of Texas. He has extensive experience in civil trials and appeals involving complex litigation as well as representation of parties in difficult family law cases. Mr. Zimmerman is one of the most active mediators in Harris County, Texas and his mediation experience includes business, health law, construction, commercial, tort, employment, intellectual property (including patent, trademark, and copyright), probate, oil and gas and family law cases. Mr. Zimmerman was awarded the Frank G. Evans Mediator of the Year Award by the Center for Legal Responsibility at South Texas College of Law. Mr. Zimmerman was recognized as the outstanding adjunct professor by a local law school. He served on the board of a national bank and was counsel to and on the board of a New York Stock Exchange company. Mr. Zimmerman has been active in many charitable organizations. 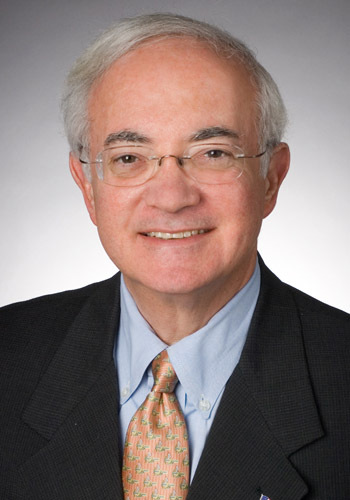 In May 2000, Mr. Zimmerman received the Anti-Defamation League's Karen Susman Jurisprudence Award, which is presented annually to the outstanding attorney whose legal career has exemplified outstanding service to the community and the profession. Mr. Zimmerman received the University of Houston Distinguished Alumni Award in April 2009. University of Houston Distinguished Alumni Awards are given to individuals who have distinguished themselves in their field of endeavor and whose accomplishments have brought credit to the university. Just over 100 alumni have received this honor.